The 2018 Subaru WRX STI is powered by a 306hp, 290 lb-ft 2.5-liter turbocharged flat-four engine. Symmetrical all-wheel drive and a close-ratio 6-speed manual transmission are standard. It offers very strong performance and excellent grip and handling abilities at the limit but a noisy cabin and very firm ride mark it down against the more rounded opposition. Standard equipment includes LED headlights, heated front seats and 7.0-inch infotainment system with rearview camera. The top Premium trim adds navigation, sunroof and safety items such as blind spot detection and rear cross traffic alert. Updated brakes and a fully electronically controlled all-wheel drive system are new for 2018. The WRX STI has been the range-topping performance sedan in Subaru’s range for decades. It offers a raw rally-bred driving experience for the road although similarly competent and more refined competitors have necessitated the 2018 model to introduce a revised front-end and some refinements such as thicker glass and better insulation to broaden its appeal. Don’t worry though, this is still one of the most visceral performance sedans on the road today and other changes include a fully electronically controlled all-wheel drive system and upgraded braking system. The interior may seem less polished than some of the latest competitors but the simplicity of the design and decent quality buttons and switchgear fit in with the no-nonsense character of the WRX STI. The front seats are just about perfect for fast driving requirements and offer good comfort too for longer journeys. Rear seats are decent too and tall adults should not have much to complain about. The trunk offers decent storage space and the split-folding rear seats further add to the cargo carrying capacity. The WRX offers a very sporty and focused driving experience but the STI turns the dial up to 11 when it comes to handling and road holding. All aspects of the drivetrain have been optimized to get the most out of the turbocharged engine around a right and twisty road. The grip levels are class-leading in practically any road conditions and the short gearing and forceful power delivery make the STI a truly engaging sports sedan to drive at the limit. The suspension is firmer than in most competitors and the combined exhaust, tire and engine noise that constantly fills the cabin will become tiring on longer journeys. City driving is hampered by a heavy clutch and over-eager power delivery that makes sitting in traffic a chore. But that is not what this car is about and when the road opens up and the STI is allowed to stretch its legs it offers a level of performance that is exhilarating. The 2018 WRX STI is fitted with a 305 horsepower turbocharged 2.5-liter flat-four engine. It channels its prodigious 290 lb-ft of torque to all four wheels through a 6-speed manual transmission. No fancy dual-clutch option here and while that may hurt its off-the line acceleration times, the focus and precision required of the driver when pressing on is what this STI is all about. 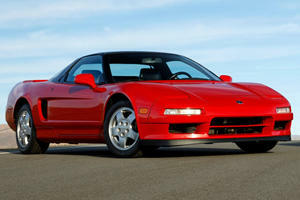 Still, a 0-60mph of around 5-seconds is mighty impressive and the close-ratio transmission offers strong in-gear times. It is worth noting though that some rivals offer more power and slightly quicker acceleration times in this category. Consumption figures are rated at 22/17mpg in highway/city driving conditions. 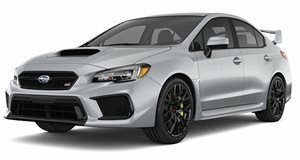 The WRX STI comes in two trim levels, the base WRX STI trim is equipped with 19-inch alloy wheels, LED headlights, heated front seats, leather interior, STI-styled instruments with multi-function color display, brake assist, 7-inch infotainment system with smartphone integration and rearview camera. The top WRX STI Limited trim adds a sunroof, blind spot detection, rear cross traffic alert, updated audio system, navigation and power driver’s seat. All Subaru WRX models come with continuous all-wheel drive, variable torque distribution and active torque vectoring but symmetrical all-wheel drive and a driver controlled differential (DCCD) system are unique to the more powerful WRX STI. 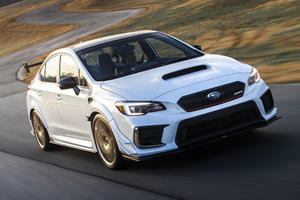 The once unassailable Subaru WRX STI may have been caught up by more modern challengers like the Ford Focus RS and Golf R, it still delivers a truly intoxicating driving experience and remains supremely capable around twisty roads, especially when road conditions are at their worst. A hard ride and noisy cabin may limit its appeal making the 2018 STI more of a niche enthusiasts sports sedan than mainstream performance car. An STI performance exhaust, exterior body kit items, short-throw shifter kit and low-profile trunk spoiler (in place of the huge standard item) are some of the available options.